Our passion is helping individuals feel their best by removing any imbalances that may be holding them back from living the happy, active lifestyle that they desire. Sometimes the body needs help with removing stresses, unhealthy structural patterns, and nutritional imbalances. The mind and body are simply amazing. We just need to allow innate intelligence to do its job. We accept almost all insurance plans and will submit to your insurance carrier so that you have no paperwork. 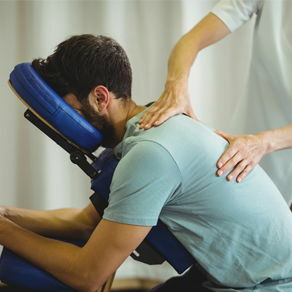 Low back pain, Upper back pain, Neck Pain, Fibromyalgia, Headaches, Balance Disorders, Sports Injuries, TMJ disorders, Shoulder and Arm Pain, Carpal Tunnel Syndrome, Leg Pain, Restless Leg Syndrome, Pinched Nerves, Sciatica, Arthritis. We also work with injuries in Shoulders, Wrists, Hips, Knees and Feet. Optimal Health Matters located in Highlands Ranch, CO. We are proud to serve the people in our community. Whether you're in downtown Denver, the south metro area or beyond, we are here to help! Our mission is to provide people of all ages with specialized treatment plans to help them be able to move again without pain. We utilize chiropractic care, soft tissue work, acupuncture/dry needling, rehab, and many other therapeutic modalities. We are committed to providing all the elements of holistic health care, helping people avoid drugs and surgery. If you would like to stay informed about modern integrative healthcare topics or if you want to start receiving free articles about health and wellness news, please subscribe to our bi-weekly newsletter, even if you are not a patient. Once you are subscribed, you will be able to explore our member wellness section and take advantage of our animated exercise videos, wellness articles, and other resources. "The doctor of the future will give no medication, but will interest his patients in the care of the human frame, diet and in cause and prevention of disease ~"
"Dr. Matt Turner is an amazing chiropractor! He takes the time to ask questions and listen to his patients so he can really help them. His authentic personality will make you feel comfortable instantly. He truly wants people to feel good and have a high quality of life. You HAVE to visit him!"